50ml PET jar, with natural screw-top lid is lovely for creams, balms and butters. This cute 50ml PET jar, with natural screw-top lid is lovely for creams, balms and butters. 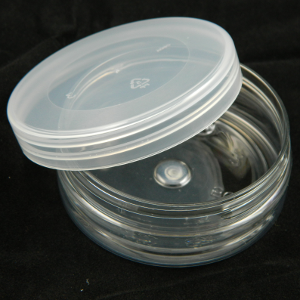 It's translucent lid really helps to show off the product inside, especially useful for coloured products. The shape of the jar, being broad and shallow, makes for easy decanting. Please Note: Due to the volume/size, packs of 25+ 50ml jars, we can only ship these by courier and therefore, courier charges would by automatically applied. Our sincerest apologies for any inconvenience.